The 575EX engine provides the best-in-class performance in this category of engines. It incorporates the latest engine design technologies ensuring optimal torque and efficiency, resulting in lower emissions. Literally floating on a cushion of air, the Cobra AirMow 51B hover mower can maintain grassy slopes up to a 45° angle with all the freedom that a petrol-powered machine brings. The cushion of air between the mower and the ground means it can be glided across the grass with very little effort. 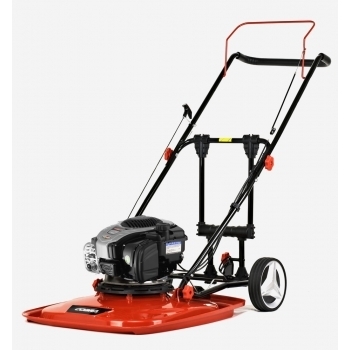 The Cobra AirMow range of petrol hover mowers all come equipped with a 3-in-1 wheel kit as standard. 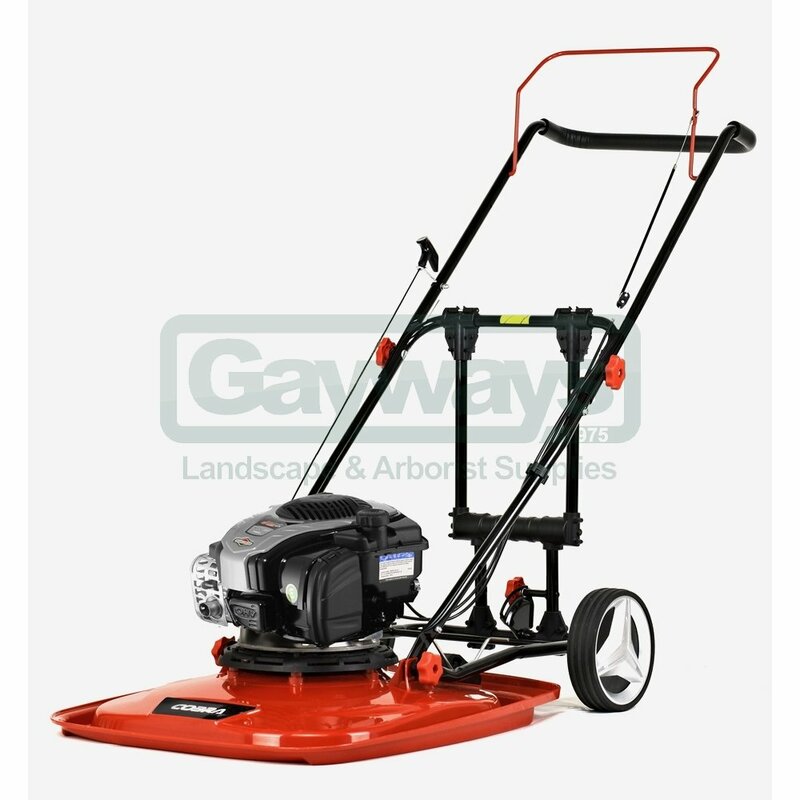 With the wheels engaged the mower can be pushed over difficult or uneven surfaces easily. Simply lift the wheels and click in place if not required. Cutting Width: 51cm / 20"